The newest trailer for Doctor Who has premiered today on the BBC- and features a variety of new scenes. 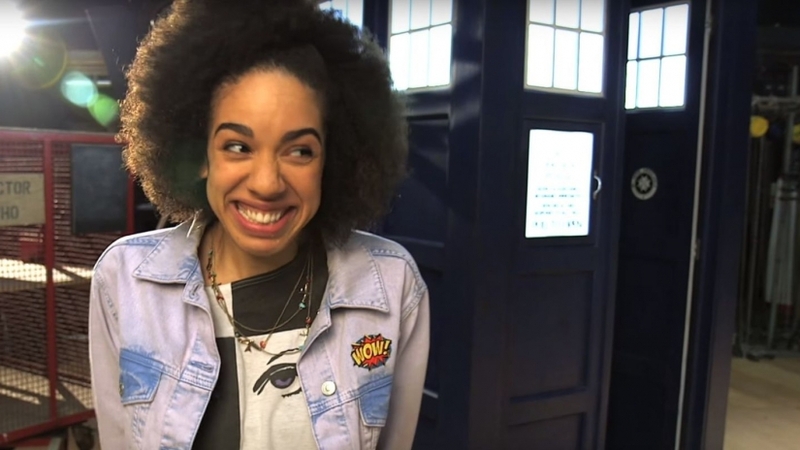 Most notably, we get some more footage exploring the dynamic between Capaldi’s Doctor and new companion Bill (Pearl Mackie), as she comments that the robot ‘speaks emoji.’ It is clear the newest series is looking to recognise modern pop culture and concepts as much as possible, although some of the decisions perhaps don’t hit the spot- such as Missy (Michelle Gomez) dabbing. In a more relevant element, the Doctor appears to know his time is numbered, as he references it several times during the trailer, and how he and Nardole (Matt Lucas) appear to be on a one-way special mission. He will have to fight back a variety of enemies, however, including the original Mondelas Cybermen- who previously featured in the First Doctor’s regeneration story ‘The Tenth Planet’. A particularly creepy scene appears to show the Doctor in a full Cyberman suit; perhaps hinting he is being upgraded. Finally, we get the briefest shot of the beginning of the Doctor’s regeneration, which will pique the interest of fans considering that the identity of the next Doctor is currently unknown. It appears this season will be a watershed for the show, with both Capaldi and Mackie leaving at the end of the series.